The State of Illinois has instituted a new program called the “Illinois Premise Alert Program”. Its purpose is to give a parent, guardian, family member or caregiver of an individual with a special need or disability an opportunity to provide information to First Responders such as Police, Fire and Medical personnel that will assist them in the event of an emergency. The Premise Alert Program is strictly voluntary. 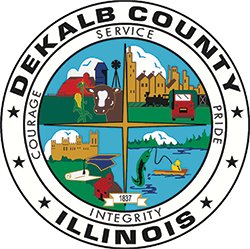 It is a database of information that is maintained at dispatch centers such as here at the DeKalb County Sheriff’s Office. When emergency personnel are dispatched to a Premise Alert address, the special needs information provided would be immediately available to the Telecommunicator. The Telecommunicator would then relay that information to the responding units giving them guidance and direction which can be critical in an emergency. If you have a family member or know of someone who may benefit from this program and would like to submit a request, additional information as well as the Premise Alert Submission Form can be obtained from your local Police or fire department. To be included in this program, permission and verification of the special need is required using the appropriate form. Permission can come from a parent, guardian, family member or caregiver of the individual with the special need or disability. The completed form should be dropped off or mailed to your local fire department. The fire department will review and verify the information, and then forward it to the dispatch center for inclusion in the database. All information gathered as part of this program is strictly confidential and will only be used to provide assistance to emergency medical and police responders when dispatched to a Premise Alert address. All Premise Alert information must be updated at a minimum of every two years or as the information changes.